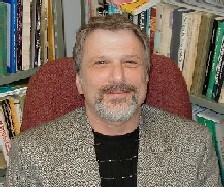 Gregg Barak is professor of criminology and criminal justice and former department head of sociology, anthropology, and criminology at Eastern Michigan University. Dr. Barak is the editor and/or author of 10 books, including the award winning Gimme Shelter: A Social History of Contemporary Homelessness in America; In Defense of Whom? A Critique of Criminal Justice Reform; Integrating Criminologies; and the recently published Class, Race, Gender, and Crime: Social Realities of Justice in America with co-authors. Among Barak’s edited readings are Crime and Crime Control: A Global View and Representing O.J. : Murder, Criminal Justice and Mass Culture. Professor Barak has served as Chair of the Critical Division of the American Society of Criminology, was the Critical Criminologist of the Year in 1999, and has served on more than a dozen editorial boards.